Years ago, we dined at Ruth’s Chris Steakhouse in Sarasota. The kids were itty bitty, but they got dressed up with fancy new clothes. The special occassion, none, other than my in-laws were visiting from Clarence, New York for the holidays. My late father-in-law, George, was a lover of steak. Super-seared, almost burnt on the outside, but red-rare on the inside. If it wasn’t cold and moo-ing in the middle, it wasn’t cooked right. In Sarasota, there were only two restaurants that knew how to do steak “George’s way” and wouldn’t give a fuss if he sent it back: Ruth’s Chris and Flemings. The kids just poached off everyone’s plates, except for George a.k.a.”Papa’s,” as their little nubby teeth couldn’t chew rare cow. 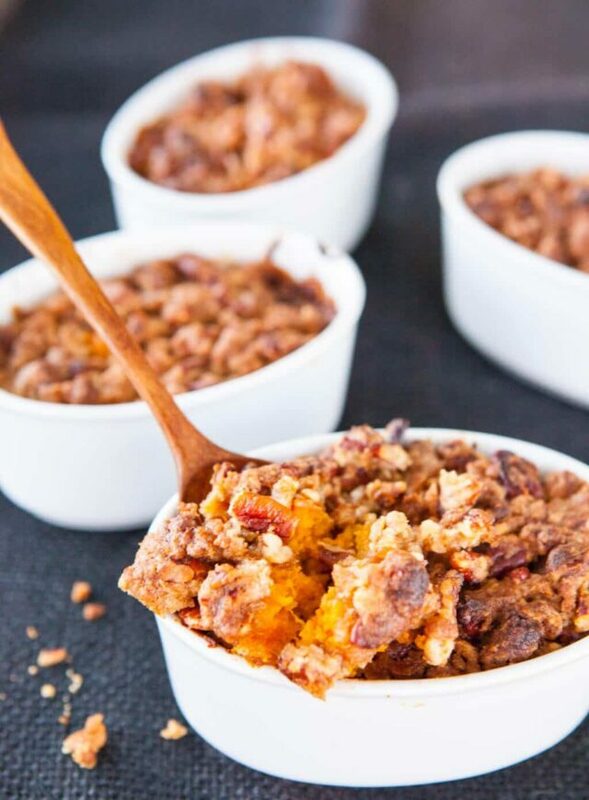 The one dish we all agreed on was the Ruth’s Chris Sweet Potato Casserole, a creamy-sweet dish served individual ramekins, topped with a crunchy, brown-sugar and pecan crust. This will be our second Christmas without “Papa.” We will enjoy a charred-on-the-outside steak in his honor (but medium-rare for us) and this Ruth’s Chris Sweet Potato Casserole. We’ll dine together and remember Papa, fondly. Scott will tell stories of how Papa would rig his BBQ grill at home to produce exactly the steak he liked. And perhaps, in heaven, there are angels who grill Papa’s steaks perfectly, every time. This sweet potato casserole recipe comes directly from Ruth’s Chris Restaurants – they’ve generously allowed us to reprint and adapt their recipe. The homemade version is perfect to serve with a traditional steak dinner. We normally pair it with our Perfect Prime Rib Recipe with Red Wine Au Jus. 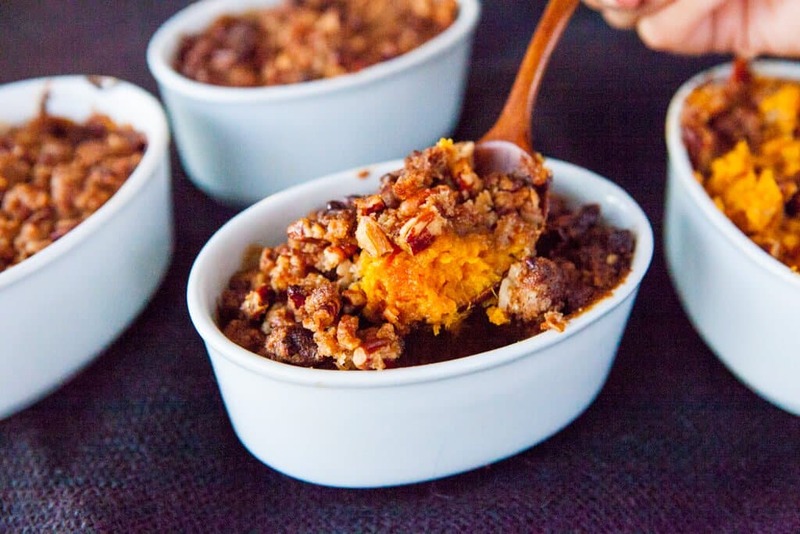 The two distinct textures of this Sweet Potato Casserole go so well together that we decided to go a little overboard on the topping so that each bite of mashed sweet potato could be accompanied by a generous scoop of the crunchy, sweet, nutty topping. Note: You can use CANNED sweet potato, to save this step. Peel and cut each sweet potato in half. 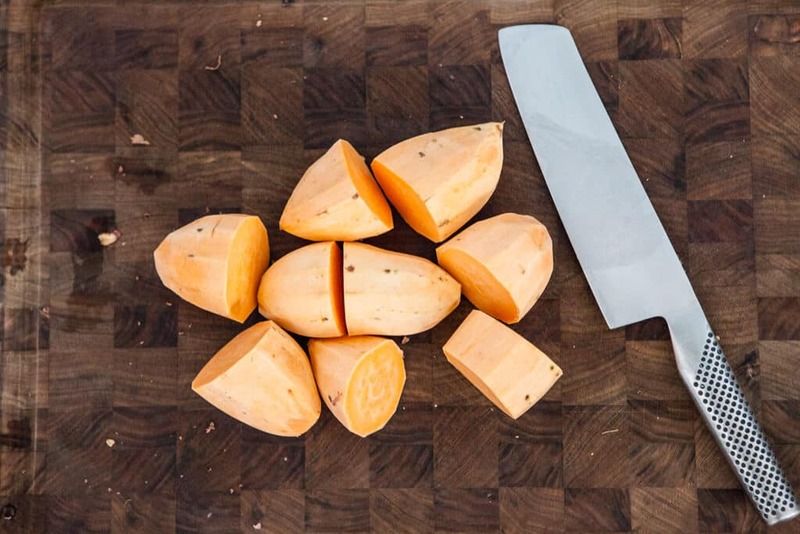 If it’s a really large/thick sweet potato, you might want to cut into thirds. The key is to keep the pieces relatively the same size. The sweet potatoes are mashed and mixed with just a bit of vanilla extract for extra flavor. The Pecan Crumb Topping is so simple to make, we added extra pecans. All that’s left is to to do is fill individual ramekins and top with spoonfuls of the crunchy pecan topping. Bake at 350F. 1. Cut the sweet potatoes half and add them to a pot of salted water. 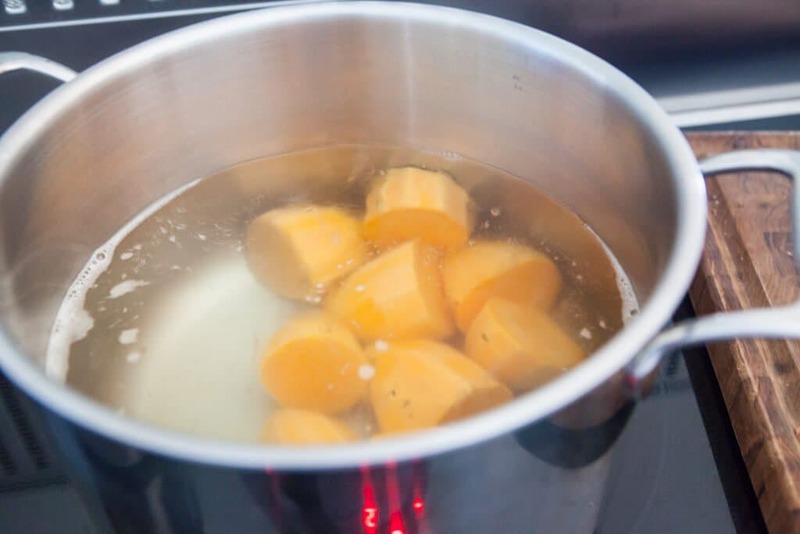 Bring the pot to a boil, and cook for 20 minutes, or until the sweet potatoes are cooked through. They should be easily pierced with a fork. Drain. 2. Preheat the oven to 350F. 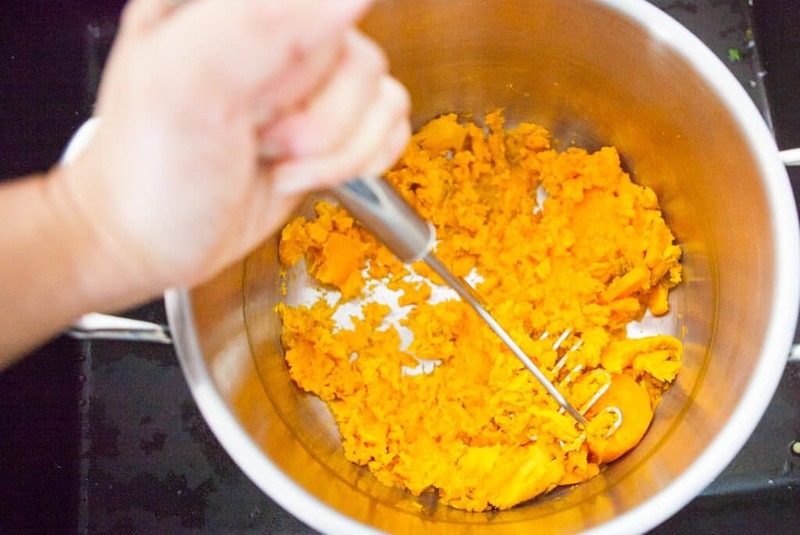 Mash the sweet potatoes with the Sweet Potato Mixture ingredients. Combine thoroughly and pour into a baking dish. 3. In a separate bowl, combine Crust Topping Mixture, and sprinkle Crust Mixture evenly onto the surface of the sweet potatoes. 4. Bake for 30 minutes at 350°. Thanks for the Sweet Potato Casserolle recipe. I know everyone will love it. I always make the sweet Potato/Yam dish and usually use a variety ingredients and toppings. This year I’m making a savory sweet potato dish and will include Ruth’s recipe, too. Thanks Jaden and have a great Turkey Day. I’ve had this twice at the Ruth’s Chris Steakhouse, curious to see if I can replicate it at home. Pie Crusts are my downfall though, I am horrid at them. Might consider putting this on the Thanksgiving menu from here on out if it goes well! Thanks for sharing such a wonderful memory and recipe! never tried this recipe, love the pecan crust and absolutely love sweet potatoes, so thank you for sharing this and fond memories! Hi Haley! Yes, definitely make this in pie crusts! I would whisk in an egg to the mixture. Give it a test run! I would like to bake this dish with my stuffing once the turkey is out of the oven. The stuffing calls for a 400* oven. Is there anything I should do to make it work at this temperature? Hi Susan – you should be fine. Shave off 5 minutes from cooking time and watch to make sure tops don’t burn. You can cover loosely with a piece of tin foil if the top browns too fast. I love this recipe. Got it from a college-friend 40 years ago and always make it for the holidays. 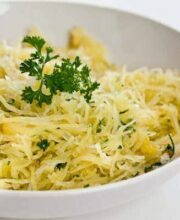 Another twist on the topping is to add shredded coconut. It gives it a chewy/crunchy taste. I also use almond flour instead of regular flour and no one knows the difference. I use Blue Organic Agava in place of sugar in the sweet potatoes and raw sugar in place of brown sugar. I am going to try the pumpkin version. Thanks for the suggestion! Is the baking time different for one casserole dish instead of individual ramekins? Add another 5 minutes for a larger dish. 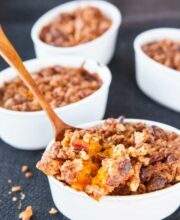 This sweet potato casserole dish has always been my favorite at holidays. Are the comments supposed to show up over the post? I can’t read it or see your lovely photos. Love that your story made me tear up. Love when the little things trigger such stong memories of those we love. On a practical note, how far in advance do you think I could make this? Keeping the topping separate until baking maybe? Hosting everyone this year and trying to make as much in advance as possible! Also, do you think this would freeze well? As a family of three, we often have more than we need for each meal! Thanks for your kind words. You can prep the sweet potatoes far in advance and refrigerate. Prep the topping EXCEPT for the butter. On day of, melt the butter for the topping and mix with the dry ingredients. Proceed as normal with the recipe! Yum!! I love sweet potatoes, but I’m not a red meat eater, think hubby will mind if I make him a steak and keep the sweet potatoes for myself? 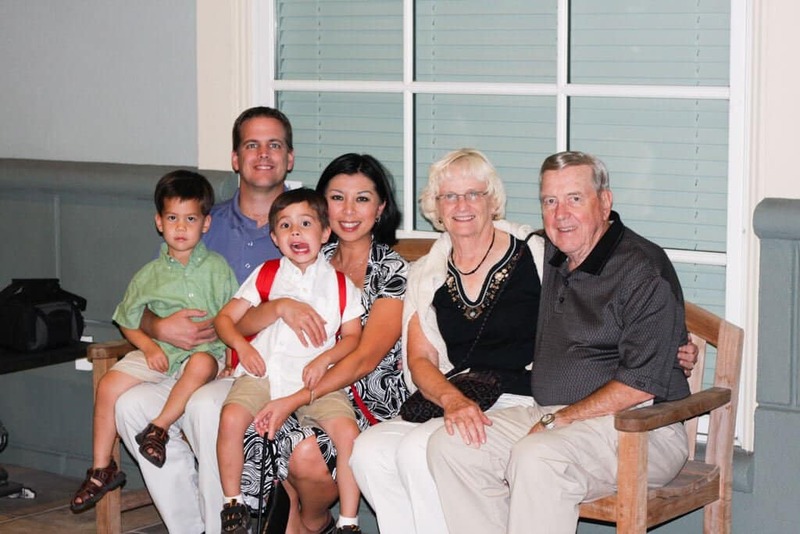 What a great article honoring your late father-in-law George. Thank you for sharing that deliciously looking recipe, yum! Did you say over 32k of photos…you rock Jaden! Drooling with this recipe! What do you think would be a good sub for the brown sugar? Could I use maple syrup instead? Thanks Jade! Oh my goodness, Jaden. What a wonderful story to go along with the recipe. And sweet potato casserole sounds delicious. I will make it and certainly remember the quirks of family members who have passed. Thank you! 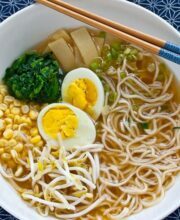 Jaden, As a formerly non-cooking woman in a relationship with a fabulous home chef, I’m loving all the step-by-step recipes you share here! (I’m fast becoming a little “sous chef”) AND thank you for sharing your wonderful family stories… beautiful! Thank you for sharing your memories with us. It always amazes me the flood of memories that food can bring into my life. Your way of honoring your loved ones through sharing food in their memory is something I will take with me. And…the recipe even looks like something I can do!! I’ve been making this for years in fact it has been passed down from one generation to the next. My nanan (godmother) originally made these abs since she too is gone now, we make them in her honor. I live in the New Orleans area and never realized ithe recipe came from Ruth Chris. Since I’m in charge of making this for every holiday and we usually have a very very large crowd, I do cheat a little. I use canned sweet potatoes with the liquid drained. I also make this in a 9 x 12 pan (or larger) and leave plenty of room at the top for the pecan topping. 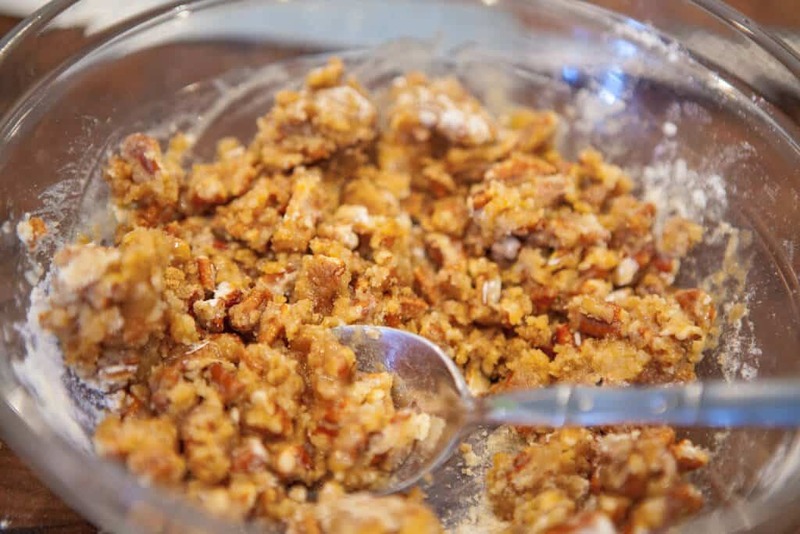 I use a whole pound of pecans and adjust the recipe accordingly to give an almost crumbly texture to the topping. I bake it once for about 20 minutes without the topping and then bake it again with the topping on so it will slightly brown. This is my favorite dish of the holidays and apparently it is every one else’s too. We rarely have any left over! Merry Christmas! Love it Carol! I’ve used canned sweet potatoes as well. I want to try canned pumpkin. My mouth is watering for a second helping of the Ruth’s Chris sweet potato casserole. Looks so scrumptious! Oh my I didn’t realize how easy this was to make. My boys love Ruth Chris but we haven’t been to one in a while. This sweet potato casserole will bring back lots of memories. Thanks for sharing, Jaden! I found this recipe in a Penzeys Spices catalog a few years ago and it became our family favorite immediately! We only got sweet potatoes during holidays when I was a kid, and I love it that we have them year ’round now! Thank you for sharing that fond memory. I got quite teary. I’m missing a loved one myself this holiday season.